Susan Miller Bisong’s primary areas of interest are in water resources and environmental law, as well as insurance, tort and personal injury litigation. 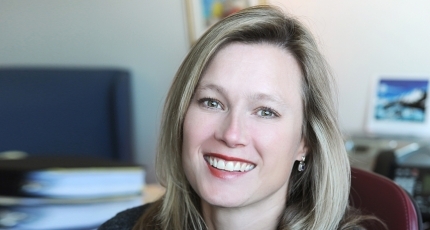 Susan is the past Chair of Modrall Sperling’s Water Law Practice Group. She brings over 15 years of experience providing representation, advice and counsel to businesses, industries, ranchers, farmers and individuals throughout New Mexico with respect to water rights transactions, administrative proceedings with the New Mexico Office of the State Engineer and litigation in state and federal court. Her water law practice involves issues of permitting, purchases and leases of water rights, and litigation. Susan has also represented clients in administrative proceedings before the New Mexico Environment Department on matters of air quality and hazardous waste permitting. In addition to her water and environmental practice, Susan has significant experience in state and federal court litigation defending healthcare providers in medical malpractice actions and insurance companies in the areas of coverage and bad faith. She has defended many businesses in personal and property damage, contract and commercial disputes. Susan is also experienced in appellate tort practice. Prior to joining Modrall Sperling, Susan clerked for the New Mexico Court of Appeals. She is Chair of the firm’s Associates Committee, and is a shareholder and member of the firm’s Natural Resources and Environment, and Litigation Departments. Susan has achieved Martindale-Hubbell’s AV® peer review rating, the highest rating possible. Represented water utilities, property owners’ associations, ranchers and farmers in proceedings before the New Mexico Office of the State Engineer regarding protests of water rights transfers. See In re Applications by The Hideout of Lincoln County, OSE Hearing Nos. 08-010 et al. ; In re Application of the New Mexico Spaceport Authority, OSE Hearing No. 09-006; In re Application by Toby Romero and FNF Construction, No. LRG-430 et al. into LRG-10140, OSE Hearing No. 09-095. Represented commercial industries in transfers of water rights. Represented railroad in personal injury and commercial dispute cases, as well as water rights issues. Represented trucking company and landfill operator in administrative permitting compliance action before the New Mexico Environment Department and in negotiations of future permitting for hazardous and nonhazardous waste disposal. See NMED v. Lea Land, Inc., et al., SWB 08-18 (CO). Represented out-of-state corporations in successfully challenging personal jurisdiction. See Dinkle v. Crane Care, Inc. et al., No. 1:09-cv-00388; Fireman’s Fund Ins. Co. et al. v. Thyssen Mining Construction of Canada, Ltd. et al., Case No. 10-cv-00401. Defended construction contractor at a New Mexico power plant in complex commercial litigation regarding property damage resulting from a fire. Represented insurance companies in bad faith and commercial general liability coverage lawsuits. See Diana Willis & George Willis v. Government Employees Insurance Company et al., 1:13-CV-00280; Donna Rzepka v. Great Northwest Insurance Company, D-101-CV-2012-02311; Sylvienne Higgins v. Great Northwest Insurance Company, D-202-CV-2014-04405; Mountain States Mutual Casualty Company v. Southern Colorado Construction et al. ; Mountain States Indemnity Co. v. Advantage Asphalt & Seal Coating, LLC, CV-2009-02107; Century Surety Company v. Jose Roybal d/b/a Red’s Steakhouse et al., 1:11-CV-01107. Represented small car dealership and successfully obtained summary judgment in case involving question of duty to inspect used vehicles, Lark v. Ford Motor Co., et al., CV-2009-3103. Represented large corporate manufacturers in product liability cases. United States Peace Corps Volunteer, Nigeria, 1993-1996. As a volunteer, Susan worked alongside Nigerian health officials and various non-governmental organizations as the coordinator for a state-based program for the prevention of the parasitic disease, River Blindness. Court Rules Source of Water for the Rio Grande Project is Limited to Surface Waters; State of New Mexico, ex rel. Office of the State Engineer v. Elephant Butte Irrigation District, et al.